These scans from The American Magazine come from James Rock’s site Gazette of the Arts . 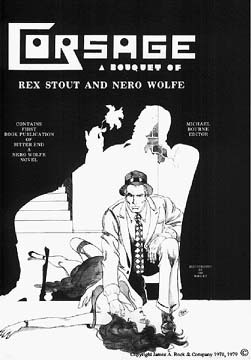 For loads of info and some super special Rex Stout and Nero Wolfe products and publications Gazette of the Arts is the place to go! This is one Rex wrote or at least was published in 1940. 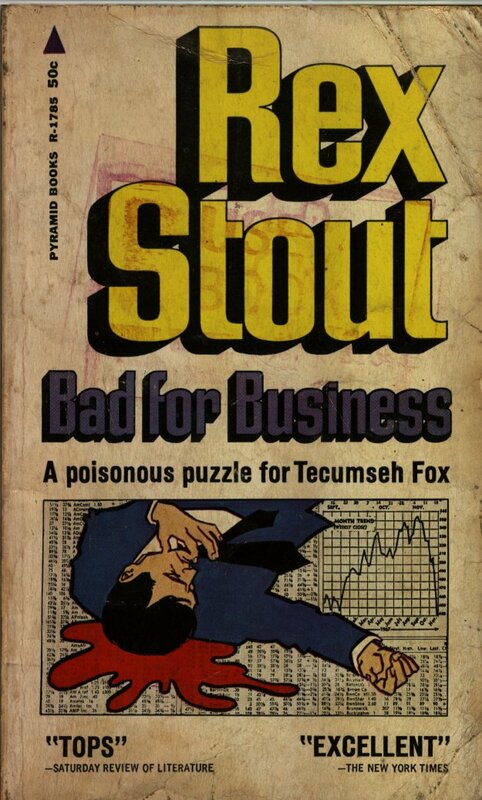 He also used the same basic story line in a Nero Wolfe mystery named The Bitter End which was first published in the November 1940 issue of The American Magazine, later in a limited edition volume by the name of Corsage: A Bouquet of Rex Stout and Nero Wolfe, and then after he had died, in Death Times Three in 1985. This cover is a second printing Pyramid edition printed in April of 1968. 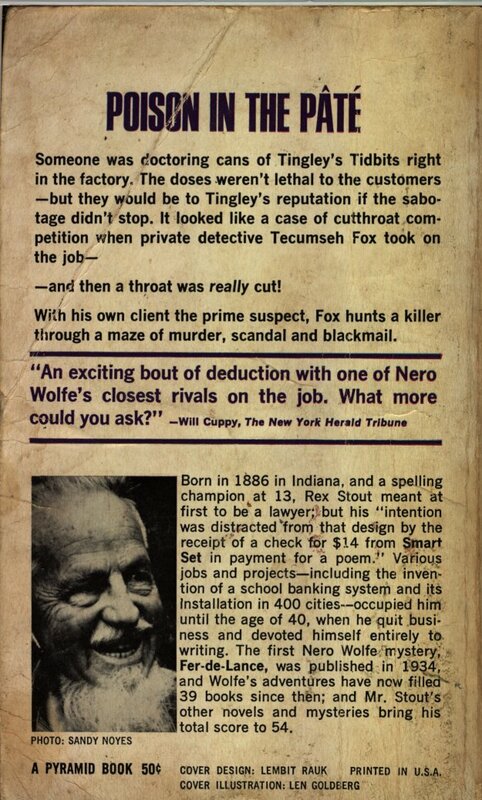 They have an 18 x 12 limited edition print of the cover art for Corsage available for sale, and an audio tape offering “The Informal Interview with Rex Stout conducted in April of 1973” among many other interesting collectors items. 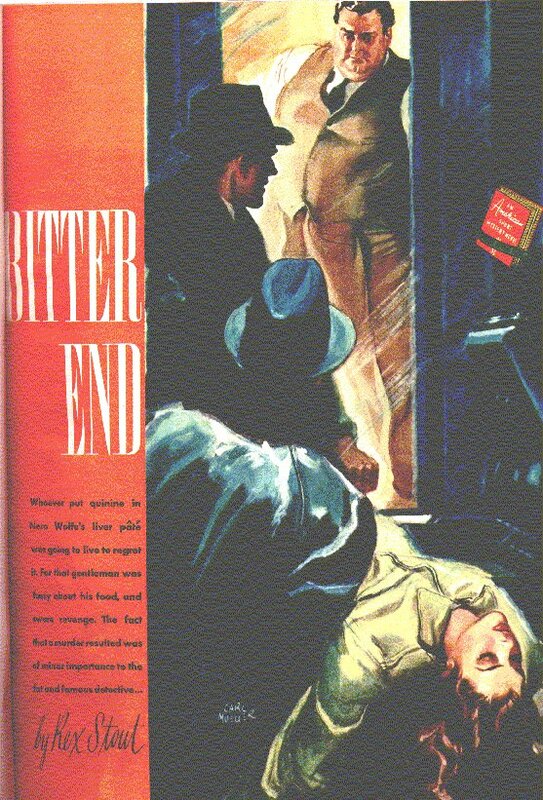 Bitter End: First appeared in the November 1940 issue of The American Magazine, and later in a limited edition volume entitled Corsage. Framed-Up for Murder: First appeared in the June 21st, June 28th, and July 5th, 1958 editions of The Saturday Evening Post. 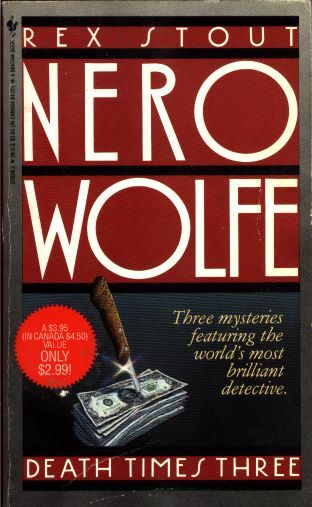 Now, with the aid of the Stout estate and Stout’s official biographer, John McAleer, Bantam Books is proud to publish this collection of three Nero Wolfe novellas. 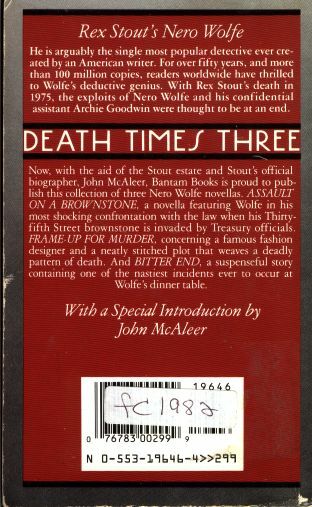 ASSAULT ON A BROWNSTONE, a novella featuring Wolfe in his most shocking confrontation with the law when his Thirty-fifth Street brownstone is invaded by Treasury officials. FRAME-UP FOR MURDER, concerning a famous fashion designer and a neatly stitched plot that weaves a deadly pattern of death. 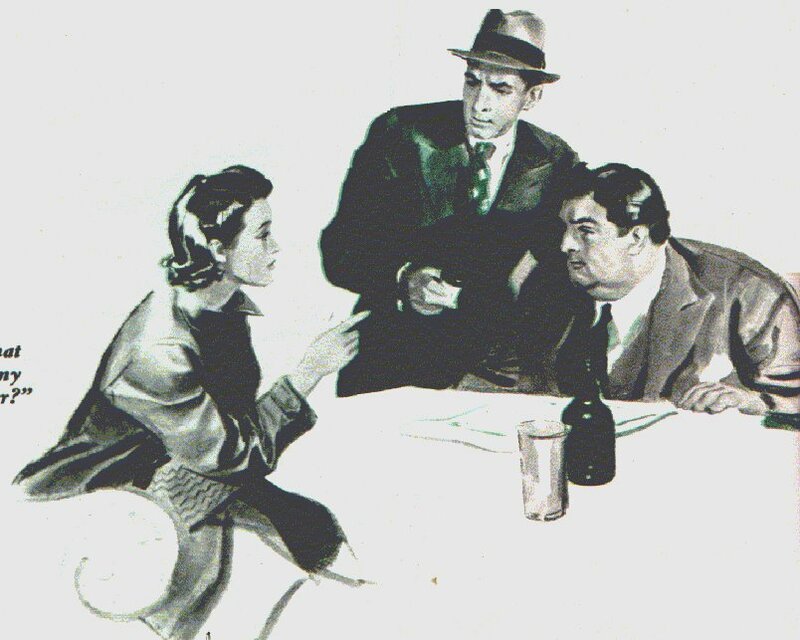 And BITTER END, a suspenseful story containing one of the nastiest incidents ever to occur at Wolfe’s dinner table.